As the holiday season fast approaches, we’re reminded that the only thing better than family time is the warm and comforting food, with a drink and dessert that we get to delight in! Christmas gift exchange is always the most fun part and seeing the looks on the faces of your loved ones as they open your heartfelt gift basket or other Christmas gift idea. Are you still searching for the last few mementos to complete your shopping for those special people in your life? Is there a certain coffee-loving someone that you have in mind that you can’t seem to find anything for? If so, you’ve come to the right place. 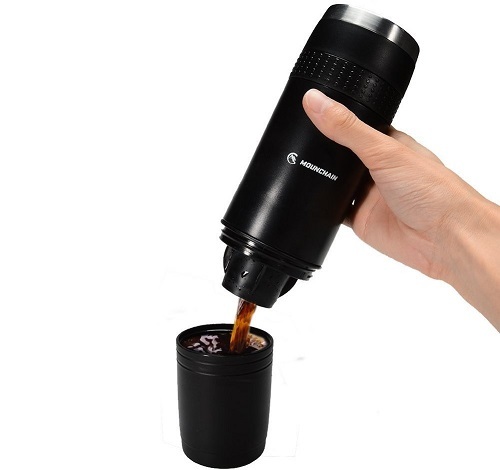 Have you thought about a great gift idea for coffee lovers? Milk frother, French presses, stainless steel coffee grinders, and even the latest espresso maker could make the perfect Christmas gift ideas. Alternatively, what about something completely different that will most certainly put a smile on a coffee drinker’s face? To make it easier for you, we’ve taken it upon ourselves to scour the highs and lows of Amazon to bring you some of the most unique gifts ideas that you can find in just a few clicks this holiday season. 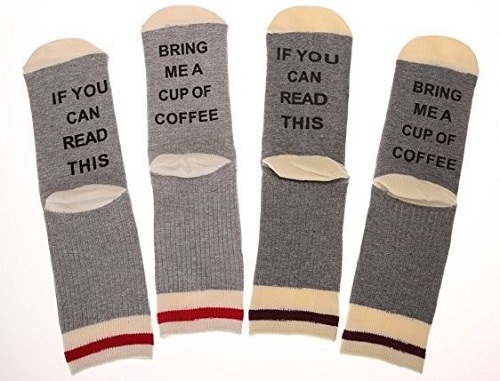 If you’re looking for some inexpensive stocking stuffers that still make a great gift idea, these socks are sure to be a big hit with the mocha lovers in your life! Not only do you get two pairs of socks at an amazing price, but their long size makes them suitable for the chilly winter nights that lie ahead. We just love the witty message that’s only revealed when the wearer is seated with their soles visible! There are a number of other beverage messages that are available for sale so you could potentially get gifts for more people than you anticipated with this offering! You can decide to give both pairs to one person or you can give one pair to two different recipients. The best part about these socks is the moisture-wicking, cotton-blend material that resists smells, and both men and women can rock these socks with pride! 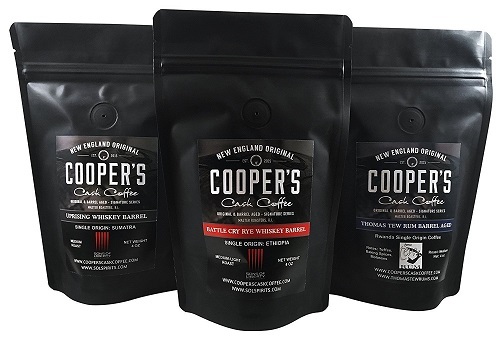 If there’s a particularly adventurous coffee drinker in your life, you’ll definitely want to consider grabbing a few bags of Cooper’s Coffee for them this holiday. With a 4.5 star rating and overwhelmingly positive reviews to boast, the aging process is what really sets these blends apart. 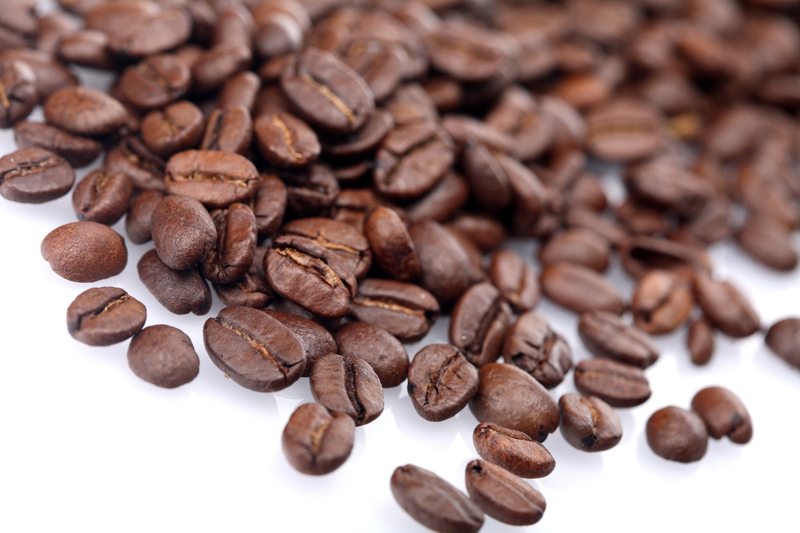 After being aged in rum and whiskey barrels for at least 45 days, these whole coffee beans are processed in small batches before they’re ready to arrive at your home. For those people that love both fine liquors and the finest coffee drinks, this is the perfect gift to combine those passions! A majority of the people that have tried this coffee have been extremely impressed with the taste and flavor profiles. There are three different flavors in this variety pack and there’s a robust assortment of notes that will entice your taste buds in the best way. Whenever it’s time for another daily caffeine fix, this is the perfect ceramic mug to pour up the java! 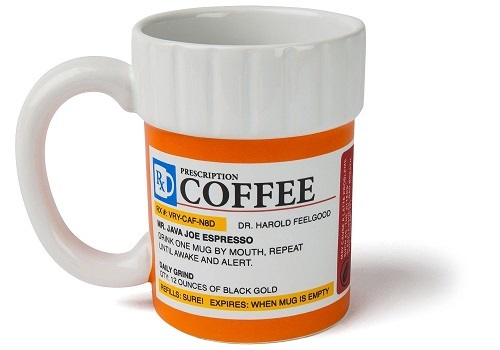 Designed to mimic a prescription pill bottle, a mug like this will instantly inject some fun into your morning routine. Coffee might truly feel like a prescription for a lot of folks and can sip on as much as you need without a doctor’s permission once you’ve got this baby waiting in your cupboard. The BigMouth mug is a real crowd-pleaser with thousands of positive reviews—and you really can’t say no to this one at that very affordable price point! 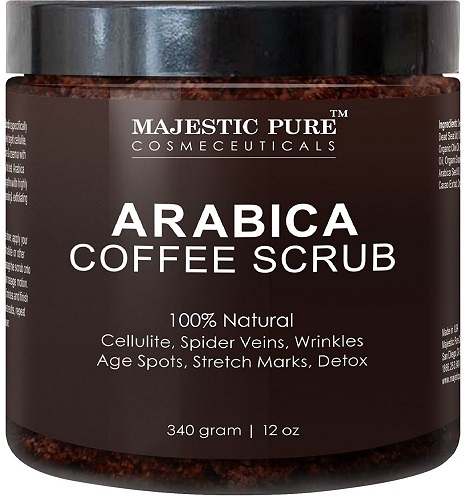 There’s nothing more invigorating than a hot shower in the morning and a great coffee exfoliant product can really help get your energy flowing for the day! There are tons and tons of happy supporters of this coffee scrub and they have all helped make it a 4.5 star-rated product. Most users and supporters of this product note the refreshing coffee scent that hypnotizes you just as soon as you unscrew the top. The sandy, grainy texture of the scrub goes on easily and it can help correct your complexion and skin tone with consistent use. Just a little bit of this will go a long way—so that makes it quite affordable in the long run—and this could serve as a quick caffeine fix prior to that morning cup of Joe any time you need extra morale to get going for the day. The cold brew coffee craze doesn’t show signs of slowing down anytime soon and this carafe is the perfect thing to allow your coffee to brew in! It’s extremely easy to use and the beautiful stainless steel design and construction resists rust and wear to make this a long-lasting offering that can travel with you! 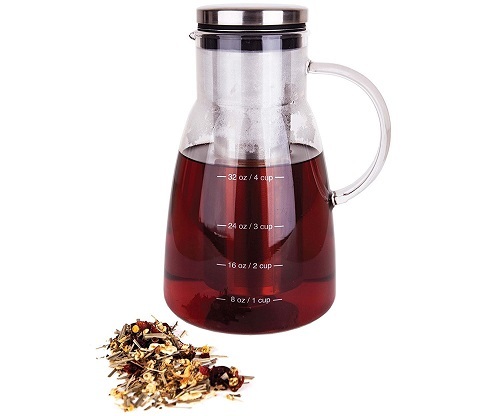 You’ll simply fill the chamber of this carafe with your ground coffee beans, then simply let it steep and come together. This product currently holds a 5-star rating and, in addition to a 100% satisfaction guarantee, the good people at Integrity Chef will match each purchase made by providing life-saving medical care and vaccines for children affected by contaminated drinking water. Who doesn’t love a nice, comfortable hoodie to bundle up in? 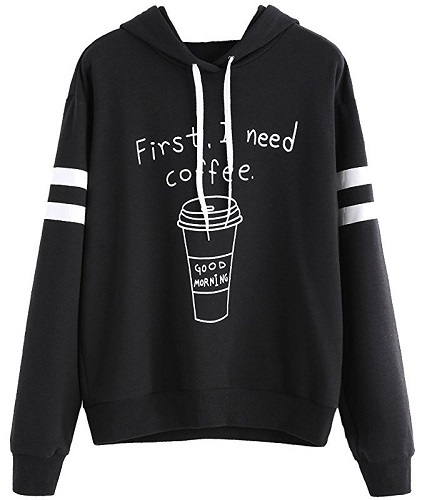 This hoodie makes it easy to keep warm while also illustrating your love for a hot and steamy cup of coffee at any time! If you’re a big fan of those Keurig K-Cups and you’re hoping to get more of the good stuff on the go, you won’t want to miss out on this portable, handheld coffee brewing machine. All it needs is a few batteries to brew up one fresh, hot cup of coffee or tea, and the space-saving design is easy to travel with anywhere your journeys might take you next. With overwhelming praise for their product and almost nothing but positive reviews to show, this is the type of gift that no coffee lover should have to go without!